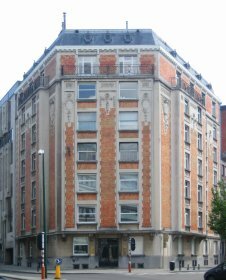 Grupp & Partner is an internationally operating law firm based in Brussels, just a stone's throw away from the main buildings of the European Union. Our specialties include consulting services around the institutions of the EU and competent support with cross-border business activities by foreign companies in Belgium. On the one hand, we offer our clients tailor-made consulting services pertaining to the institutions of the EU. In this respect, we are well-known as experienced lobbyists and frequently implement research and development projects on behalf of the EU. In addition, we constantly support our clients with regard to the acquisition of EU-funded programmes and projects. On the other hand, we offer tremendous experience in all fields related to cross-border activities of businesses - for instance when a German company carries out construction and assembly services in neighbouring countries. Hence, we are the fiscal representatives of numerous German companies and attend to the subsidiaries of German companies abroad. Our services range from support with the recruiting of qualified workers to accountancy and annual statements to debt collection.